When it comes to quantum computation, superconducting qubits are currently leading the field. But there are other ways to represent a qubit. The spin of an electron is arguably a much simpler object than a superconducting circuit: In a straightforward way, spin up and spin down represent the two qubit states, 0 and 1. However, also for spin qubits, the stored quantum information does not persist forever. The electrons interact with their environment and thereby lose their spin polarization over time. 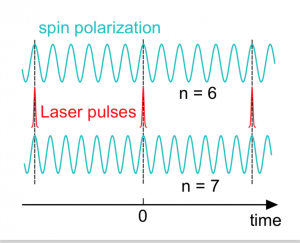 Principle of spin locking: A periodic laser pulse train locks the spin precession frequency to an integer multiple n of the laser repetition rate. In the example, the spins precess either exactly n = 6 or n = 7 times between two subsequent laser pulses. The color in this image encodes the spin polarization along a fixed direction in space, measured on semiconductor quantum dots by the IBM team. The spins oscillate at a frequency that can be varied by a magnetic field. The sample is illuminated with periodic laser pulses. Time zero marks the moment when a laser pulse arrives at the dot. The spin oscillation is locked to the laser repetition rate irrespective of the applied magnetic field. With this technique, the lifetime of the spin qubit can be substantially prolonged beyond the limit given by the fluctuating nuclear spins. As we have shown, nuclear focusing also works in quantum dots carved out of a semiconductor material using lithography and etching techniques. With this, dots of well-controlled shape, size and position can be fabricated, which is essential to apply this technique to spin qubits in a scalable way. 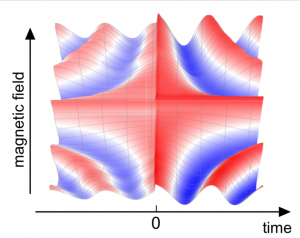 Sergej Markmann, Christian Reichl, Werner Wegscheider and Gian Salis, Universal nuclear focusing of confined electron spins, Nature Communications 10, 1097 (2019). 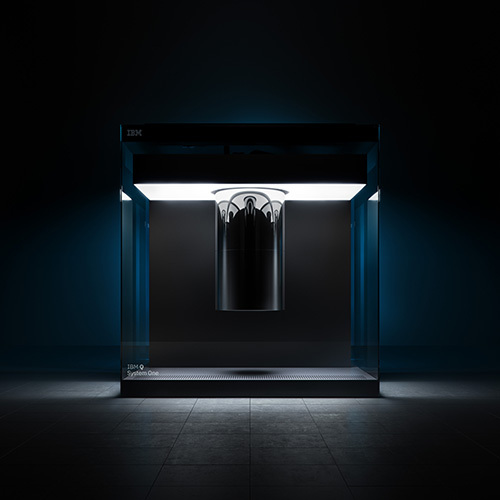 On April 6, the Museum of Science Boston unveils a new exhibit that will allow visitors to look inside a near life-size replica of IBM Q System One. 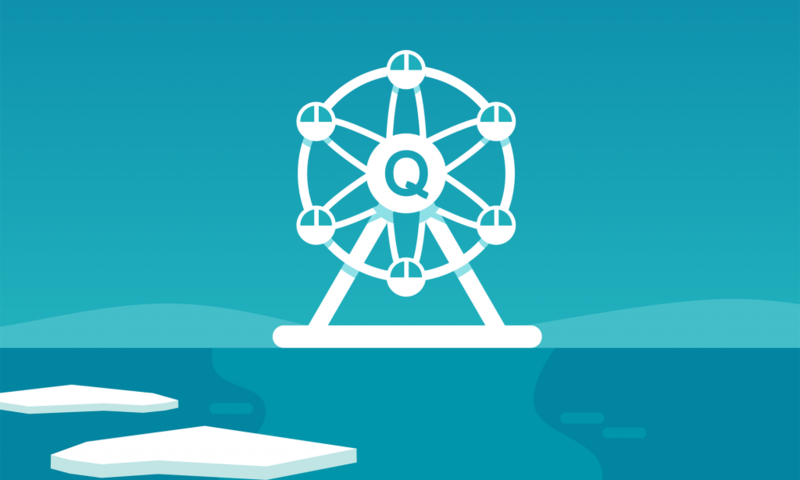 Gamers and physicists come together at the fifth annual Quantum Jam in Helsinki.